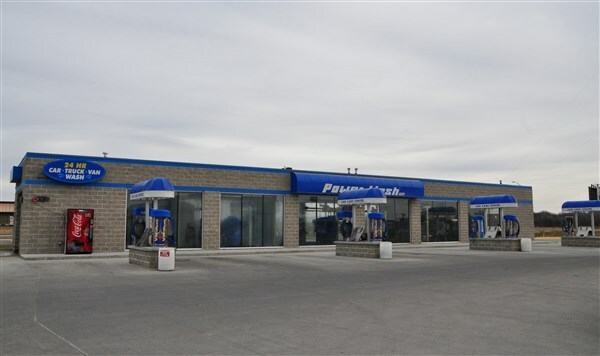 Power Wash USA | South Sioux City, NE Cornhusker Dr.
Gold Plus - includes Soft Foam Wash, Spot Free Rinse, Super Blow Dry, Side Blaster, Clear Coat Sealant, Under Body Wash, The Bubblizer, Triple Color Polish, Tire Scrub Brush, Tire Shiners, RainX. Gold Wash - includes Soft Foam Wash, Spot Free Rinse, Super Blow Dry, Side Blaster, Clear Coat Sealant, Under Body Wash, The Bubblizer, Triple Color Polish, Tire Scrub Brush, Tire Shiners. Silver Wash - includes Soft Foam Wash, Spot Free Rinse, Super Blow Dry, Side Blaster, Clear Coat Sealant, Under Body Wash.
Express Wash - includes Soft Foam Brush, Spot Free Rinse, and Super Blow Dry. We accept Visa, Discover, American Express and MasterCard at our self serve and automatic wash stations.